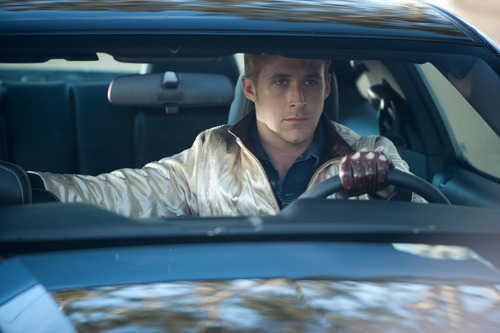 The nor thriller "Drive," starring Ryan Gosling as a driver-for-hire caught up with gangsters, was picked as the best film of 2011 by the Utah Film Critics Association. The UFCA voted Tuesday night, after members made rousing arguments for their favorite movies and performances. Picture • "Drive"; runner-up: "The Artist." Director • Michel Hazanavicius, "The Artist"; runner-up: Nicholas Winding Refn, "Drive." Lead performance, female • Michelle Williams, "My Week With Marilyn"; runner-up: Rooney Mara, "The Girl With the Dragon Tattoo." Lead performance, male • Joseph Gordon-Levitt, "50/50"; runner-up: Jean Dujardin, "The Artist." Supporting performance, female • Amy Ryan, "Win Win"; runner-up: Vanessa Redgrave, "Coriolanus." Supporting performance, male • Albert Brooks, "Drive"; runner-up: Christopher Plummer, "Beginners." Original Screenplay • "50/50," Will Reiser; runner-up: "Beginners," Mike Mills. Adapted Screenplay • "The Descendants," Alexander Payne and Nat Faxon & Jim Rash, from a novel by Kaui Hart Hemmings; runner-up: "The Muppets," Jason Segel & Nicholas Stoller, based on characters created by Jim Henson. Cinematography • "Drive," Newton Thomas Sigel; runner-up: "The Tree of Life," Emmanuel Lubezki. Documentary • "Senna," directed by Asif Kapadia; runner-up: "Project Nim," directed by James Marsh. Non-English Language Feature • "A Separation" (Iran), directed by Asghar Farhadi; runner-up: "13 Assassins" (Japan), directed by Takashi Miike. Animated Feature • "Rango," directed by Gore Verbinski; runners-up (tie): "The Adventures of Tintin," directed by Steven Spielberg; and "Kung Fu Panda 2," directed by Jennifer Yuh Nelson.